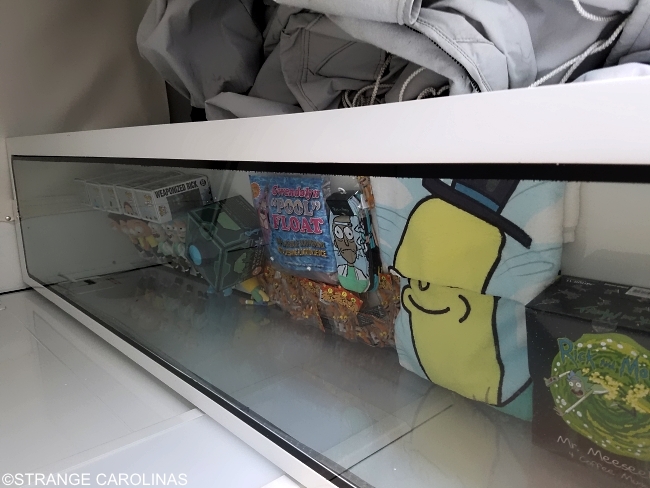 We love Adult Swim's Rick And Morty, so when we heard they were travelling the United States and selling merchandise from the show in a giant Rickmobile, we had to see it in person. 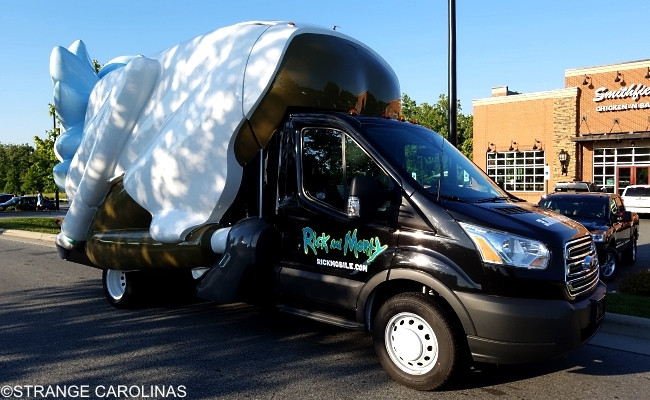 Currently, Rick And Morty's Don't Even Trip Road Trip does not have any stops scheduled for North or South Carolina, but we managed to get them to visit us yesterday in Greensboro. 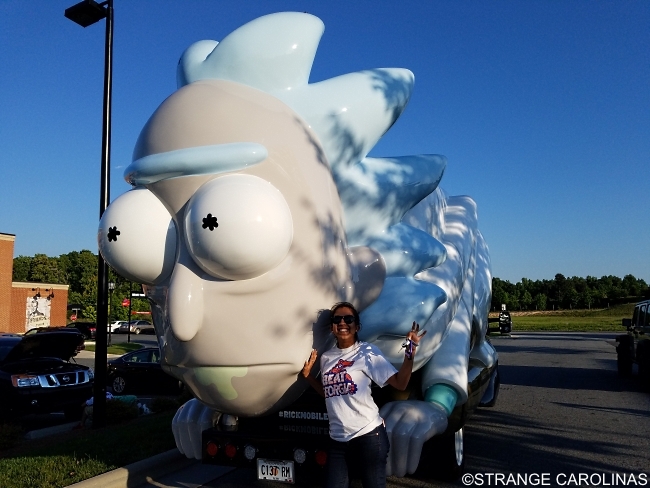 We spoke with driver Jennifer Chow, who is currently crossing the country with Adrian and Julian Woodrow, bringing the Rickmobile to legions of Rick And Morty fans. Last year, I had the amazing opportunity to drive the Wienermobile across the country post-college. Every year, they choose twelve recent college graduates to pilot it and I was the lucky dog that cut the mustard, as we used to say. So I heard about this gig through a friend who actually works at Adult Swim. She knew that I had similar experience piloting a vehicle this big and they were still in the beginning phases of creating it over at Adult Swim. She pushed forward my name and it all worked out somehow. What's it been like so far? Amazing! 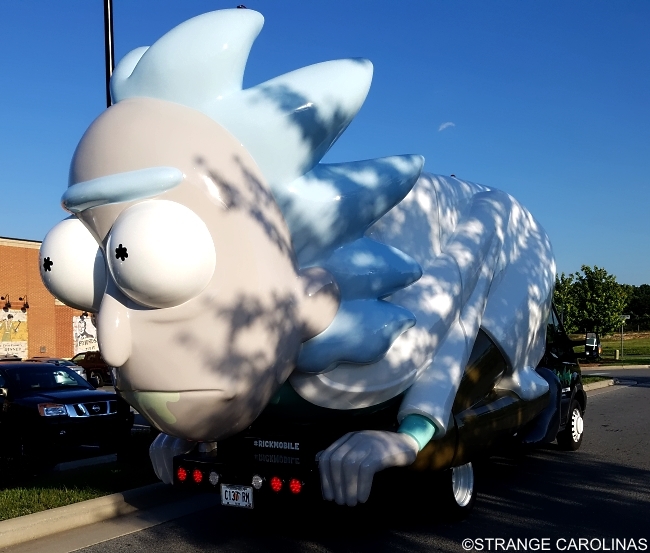 Everyone who sees the vehicle and is a fan has been reacting in ways that anyone who watched the show would really appreciate. That's what's funny about it. 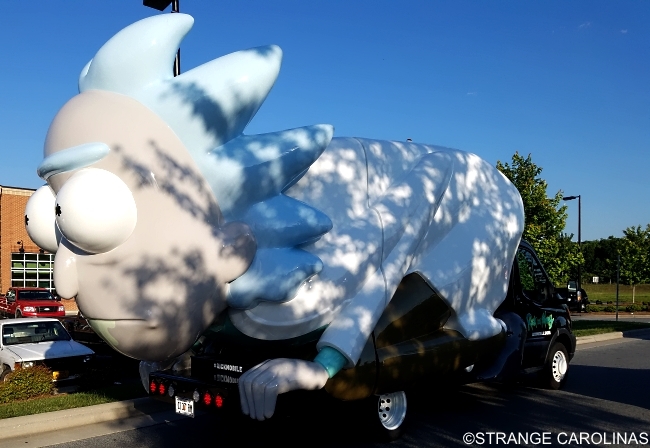 We've had people flick us off in an endearing way because that's what Rick did when he went to another planet. Our first event was in a parking lot in Little Five Points in Atlanta. We did not anticipate the crowd that we got and we're just so excited because if that is the first taste of what's going to happen for the rest of the summer, then we're stoked about it. It's been a really great response. How many people showed up do you think? 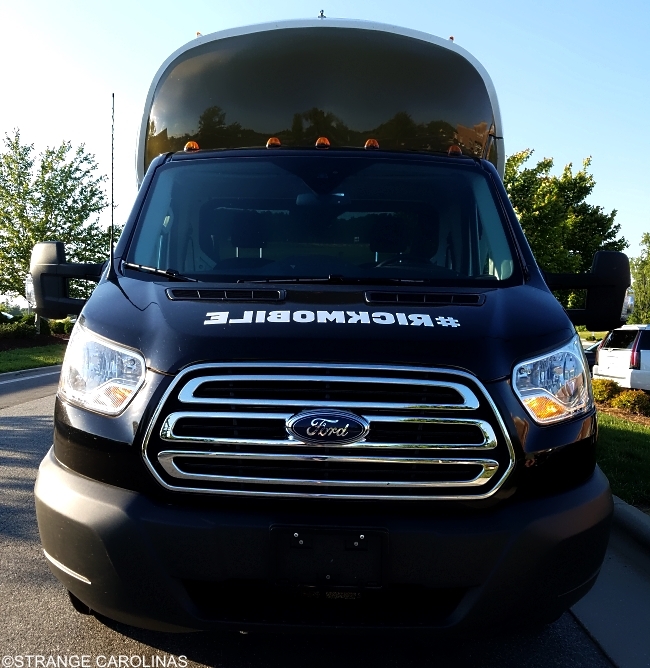 It's a 2017 Ford Transit vehicle. That's what the manual says. Ford Transit vehicle is the chassis and everything else is fiberglass and custom made by Ghostlight in in Los Angeles. They actually have a remote location in Atlanta which is where Adult Swim is too so we can go back and forth, but it was produced in Los Angeles by the guys over there. What stop are you looking forward to the most? I think the New York City stops are gong to be fun especially because I think that's a more rambunctious crowd, so I'd love to see how they react to it. San Diego Comic-Con is going to be awesome too. I think Colorado will be cool too because they actually raised hell to get us over there. That's one of the first stops that we ended up adding on to the tour. If you could visit anywhere in the US, where would it be? With this? I think San Francisco's going to be fun. I also think it's going to be fun to put him next to things that are funny. Today we actually stopped by the peach water tower (The Peachoid). That was funny because it's kind of similar to butts and it was a really good photo op. I think we have a lot of opportunities to make this really funny. Do you plan on meeting the Wienermobile or the NUTMobile? We have not planned on that but that would be so fun! Actually, another co-pilot (John Craft) that's coming on for the second leg of the tour is finishing up his year with the Wienermobile. 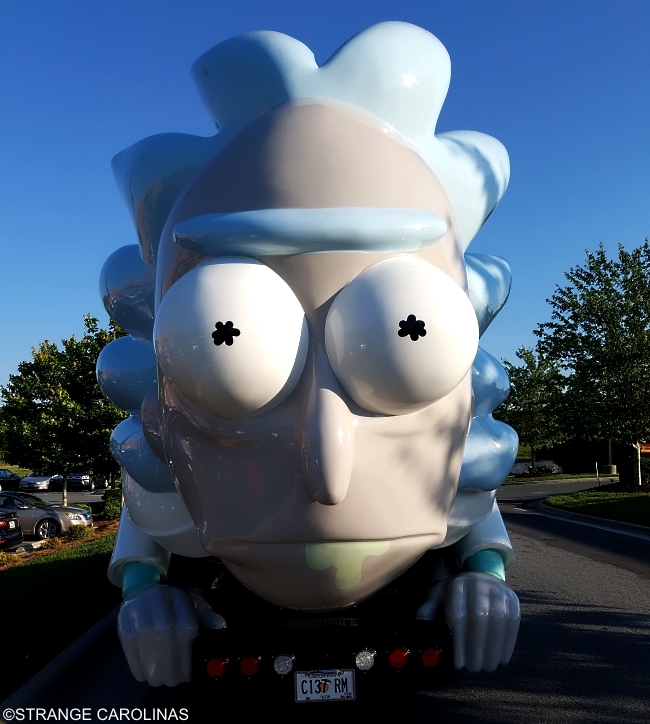 If for some reason we meet him on the road, it would be really cool to get a picture with both of the vehicles. 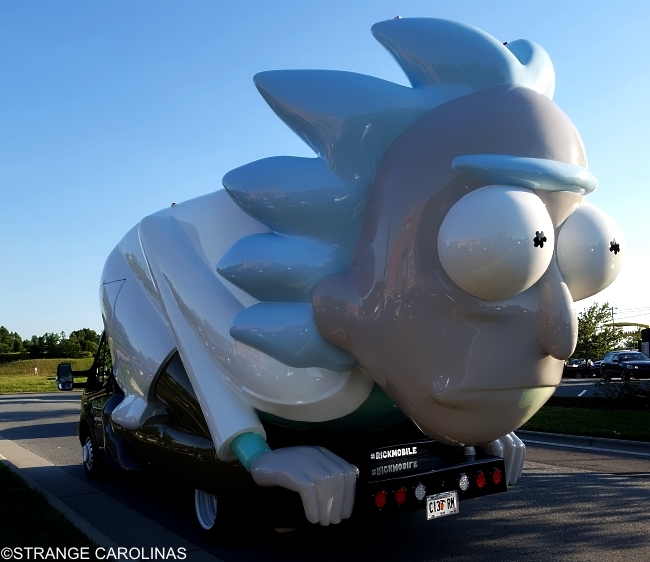 You get more details at RickMobile.com.